This stories was written by 8-10 year old kids, so the look and feel of the film had to be child like. I had to first think like children. 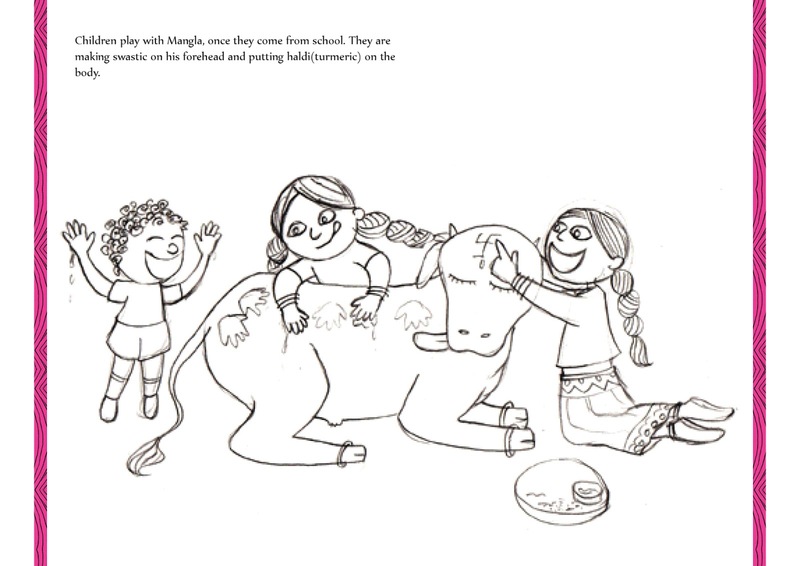 I had to keep all the learning of sketching, proportion and design aside, to draw freely like children.I did Visual development for the 'Humari gaye Jani'. Later got a chance to work on 2 more films,so I animated the second 'Khel Khel mai' and designed props and did coloring for the 3rd film called 'Baitha aas lagaye'.